Limo driver training is a very important consideration when weighing your limo company options. Knowing that your limo driver has gone through extensive training and is well versed in road safety allows you to take peace of mind in knowing that you are in good hands. Refrain from hiring the first limo company you come across. Be a smart consumer and choose a company that has well-trained and professional drivers. The driver of the limo should ideally have the full knowledge and information of the local area of the city, where their driving services are required. The airport limo drivers should know the correct entrance areas and the timings of the client drop off or drop in from the airport. They should have a local area map that gives directions for the highways, attractions of the city, hotels, and the various safe routes within the city that can take the client to the destination. Proper licensing: Are all the drivers licensing up to date? Is the proper licensing in place? When was the last time that went through some training? Are their limo driver’s fees up to date? When did they receive limo driver training? Make sure that proper licensing is up to date and properly documented before agreeing to service or signing a contract. Limo driver school: All limo drivers are required to complete a limousine driver training program. This training, much like limo driving school for new drivers, covers everything that a driver needs to know about driving a limo safely and effectively. Road safety: It is very important that the limo company you choose is a proponent of vehicle safety and engages in training and awareness to ensure that all of their drivers are up to date with the latest road safety information. Road safety is not something to overlook and you need to do everything you can to ensure that you will be safe. Vehicle safety: Vehicle safety is essential. The last thing that you want to happen is experience a breakdown when you are in the limo. Therefore, inquiring about vehicle safety is another thing that you cannot overlook before agreeing to service. You need to know that the limo you are driving in is safe, up to date, and has received a safety check recently. Passenger safety: Passenger safety is very important in limos. People are injured all the time because they do not follow the safety rules when traveling in a limo. Make sure you are aware of the company’s passenger safety rules, the provincial laws in this area, and take the responsibility upon yourself to follow these rules. Other responsibility of the limo driver is to keep the car clean at all times and maintain it from internal as well as external side of the part. This is important as the clients who hire limo services, expect the car of this stature to be clean and well maintained for them always. Keeping the car in proper condition will help to generate more business for the agency. 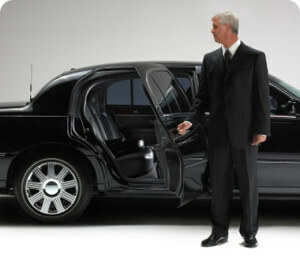 A corporate limo service always provides the best services to their clients or customers. The drivers have the responsibility of arranging the luggage space and help the clients to load or unload the luggage, open the limo door for the clients and provide premium services that befit the grand premium Limo car passengers. Facilities can include a small library with some magazines and books, a mini bar and some music to sooth the mind of the client. A Mini TV is also provided on special request. The other work of a corporate limo driver is to respond to urgent calls of the clients and provide services on emergency basis for special events like charity or weddings or satisfy queries of people who hire limo services. The most important responsibility of a limo driver is careful driving. A responsible limo driver has a license and number of years of experience in driving and drives car with caution following all traffic rules. The drivers should be well versed with soft skills. The airport limo services are well known for their expert professional drivers who follow the strict rules.